When a person becomes a Christian, they take on an entirely different identity, the pinnacle of which is being God’s prized possession. In this lab, John Piper looks at two of the most explicit and most profound verses on Christian identity. What we learn should humble and inspire every believer. When you get a list of metaphors like we do in 1 Peter 2:9, stop and examine each item in the list. Ask questions to understand why the list was compiled like it was. Why did the author include the word pictures that he did? Why did he include these, and not others? What significance do the adjectives play in the list? 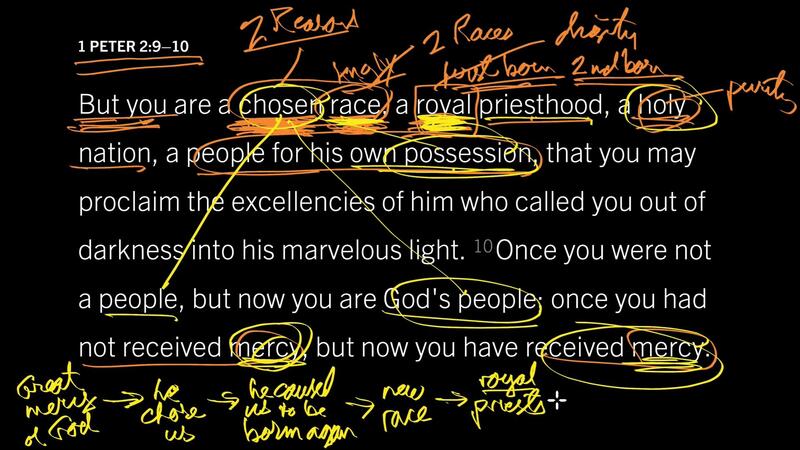 Take each of the metaphors in 1 Peter 2:9–10, and explain in your own words how each explains a Christian’s identity. Why does Peter include these particular metaphors? What does the phrase “chosen race” specifically say about race and ethnicity? How should it shape or reshape our understanding of these distinctions? If you learn that you’ve been chosen by God, what affect should that have on you emotionally and psychologically? What might God want you to feel when you realize you’ve been chosen by him? 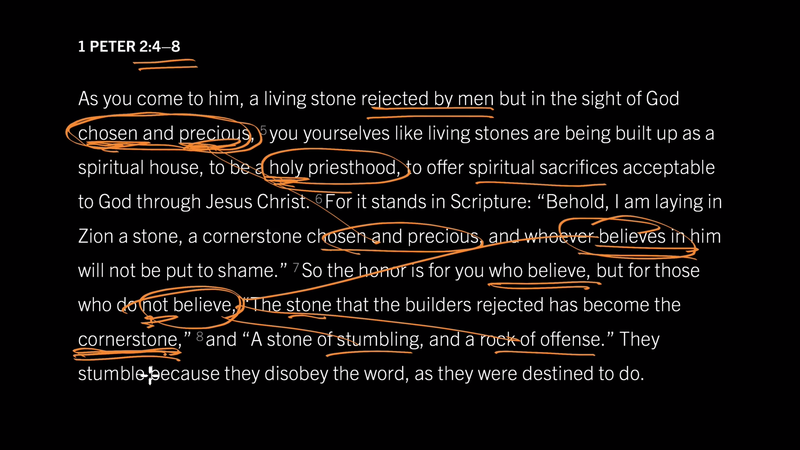 1 Peter 2:7–8 talked about those who rejected Christ and stumble in their disobedience. 1 Peter 2:9–10 turns to talk about those who receive Christ and make him the cornerstone of their life and hope. 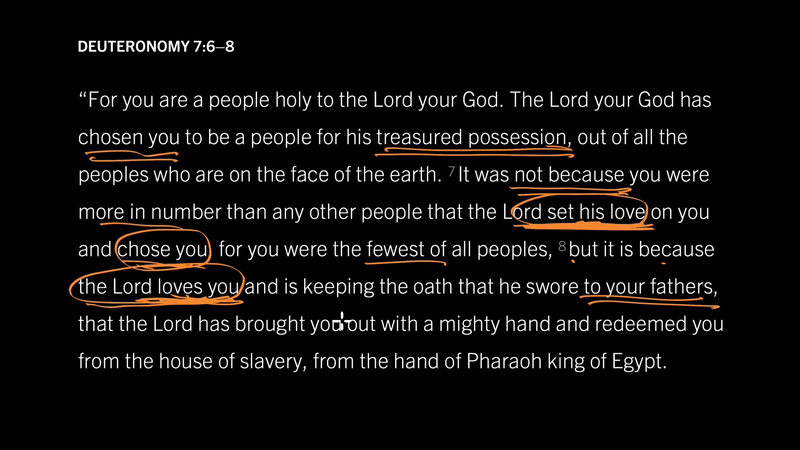 By quoting this passage, Peter is saying that the Israelite distinctives are now enjoyed by all who believe in Jesus. Therefore, election should be a humbling doctrine (not a prideful one). You are a chosen race. How do you become a new race? Our ethnicities are precious distinctions, but they are not the essential identity of any Christian anymore.